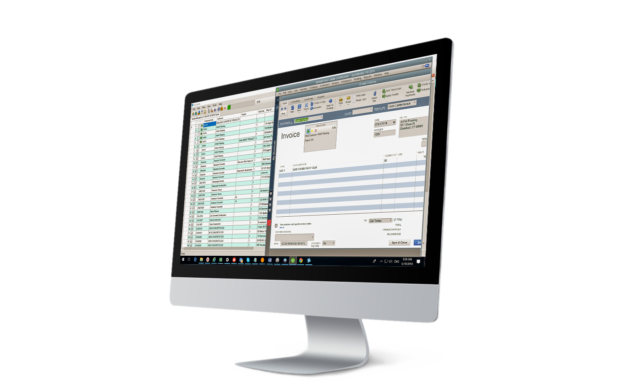 Developed by Sysdyne, QuickLink allows data transfers between ConcreteGO™ or Pioneer™ to Quickbooks and other ERP or accounting software. Customizable data transfers between programs allow businesses to sync Customer, Item, Project and Ticket data for invoicing. Additionally, it supports managing credit codes and balance amounts for credit limit management. QuickLink eliminates the requirement of hand keying data in both systems and cuts invoicing time, reducing invoicing mistakes. Does QuickLink only work with ConcreteGO dispatch? No. QuickLink also works with Sysdyne batch software. What ERP or accounting software does Sysdyne integrate? Sysdyne can integrate with ERP and accounting software such as SAP, ViewPoint, Quickbooks, Microsoft Dynamics GP (Formally Great Plains), Sage 50 (Formally PeachTree) and Sage 300 CRE (Fromally Timberline). Please contact us for detailed information. Does Sysdyne offer an invoicing solution? Yes. You can use our cloud based central dispatch solution ConcreteGO for invoicing as well. What other accounting related features does Sysdyne offer? In 2019, you will be able to use Sysdyne’s products to achieve real-time credit updates and allow your customers to pay bills online. Stay tuned!